“Swirling clouds, deep blue oceans and textured land- and icescapes are among the many faces of our planet revealed in NASA’s new photo-essay book: Earth,” NASA said. In describing the image of Bermuda, the book says, “In October 2014, the eye of Hurricane Gonzalo passed right over Bermuda. In the process, the potent storm stirred up the sediments in the shallow bays and lagoons around the island, spreading a huge mass of sediment across the North Atlantic Ocean. 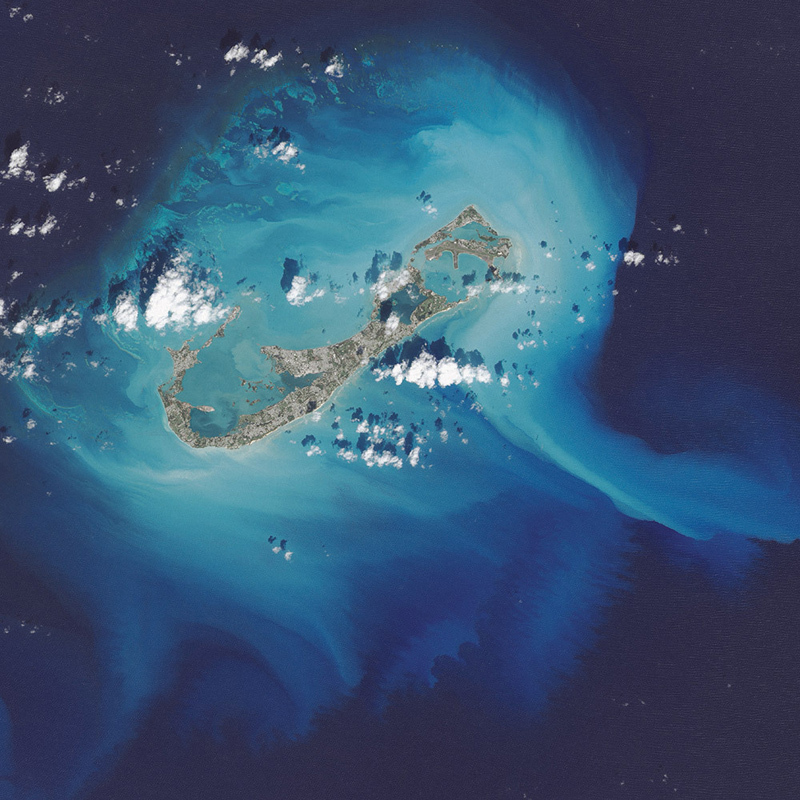 This Landsat 8 image shows the area after Gonzalo passed through. “The suspended sediments were likely a combination of beach sand and carbonate sediments from around the shallows and reefs. Coral reefs can produce large amounts of calcium carbonate, which stays on the reef flats [where there are coralline algae that also produce carbonate] and builds up over time to form islands. You can download the book for free in PDF, MOBI or ePub formats here. I love that picture. I seem to recall a similar satellite picture being taken in the 1980s. If you look closely you can see the PLP destroying our island. louder for the knuckledraggers in the back. whatever goes wrong, you own it. Hows that workin out for u? Lmfao. God i cannot wait till u all get what u are so desperately asking for. Hahaha. Ignorance truly is bliss. Yes, 11 voted for dumb and 25 voted for dumber. Even you cant be thrilled at the PLPs performance. Most who voted PLP are getting effed by these taxes. The Spartans would have thrown you off a cliff at birth. Rhymes with 9-11….’member when “we guys” partied at Alaska Hall the night we got deceived again? Looking closely I can see a picture taken in 2014…When the OBA was in Gov’t. Why do certain people who talk S$#t have to comment on everything just to create divide. 25-11 has nothing to do with this. I could understand a reference to 9/11. Your a traitor to Bermuda Onion.